Lewis Ritson successfully stepped up to super lightweight and secured a points victory over German Benitez on Saturday night at the Copper Box Arena. Ritson, whose bid to win the European lightweight title ended in a points defeat last time out, bounced back by claiming the WBA inter-continental title with scores of 99-91, 98-92 and 98-92. Ritson started on the front foot, boxing behind a ramrod jab before landing a few crunching body shots. The Argentinian responded in the second round with crisp counters. He's a slippery customer, and probably 10 rounds that I needed, to be fair. We're learning things all the time, and we'll be better with each fight. 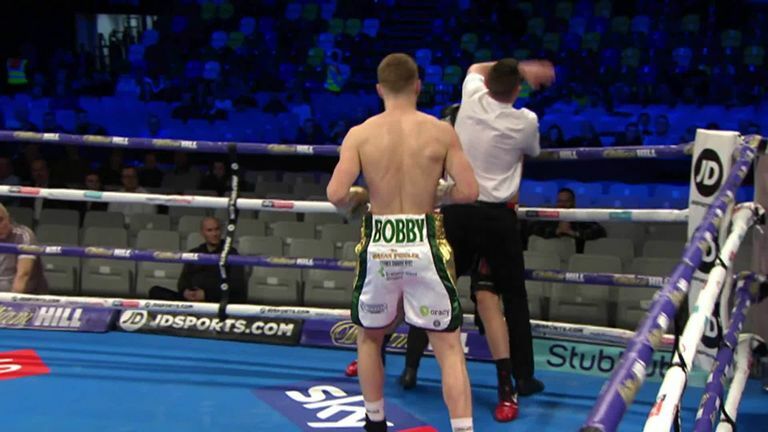 In the third, Ritson caught his opponent with a big right hand, blasting out his gum shield and targeted the body but Benitez landed a decent counter just before the bell. The Newcastle man raised the pace in the fourth and fifth rounds, continuing to box behind his stiff jab and switching to the body, while Benitez soaked up the shots and replied with solid rights. After the pair traded blows during rounds six and seven, Benitez began to push forward and appeared to hurt Ritson with a body shot towards the end of the eighth. Benitez continued his attack in the ninth against a tired-looking Ritson and strung together a decent combination in the final round, but his efforts were in vain. Jason Quigley extended his professional record to 16 straight wins after stopping Mathias Eklund on his UK debut. The Donegal middleweight, who was fighting outside of America for the first time, caught the Finn early in the second round with a succession of hooks before the referee waved off the fight.